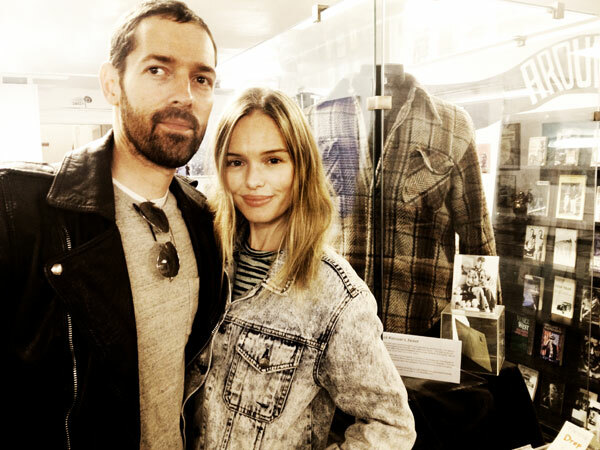 I was meeting with movie director Michael Polish on a long, sprawling road called Highway One, overlooking the Pacific Ocean. The road had been absolutely devoid of automobile traffic for the previous thirty minutes. That never happens in real life, and I found that warped reality to be a little unnerving. All that could be heard was the sound of the Pacific as Polish’s crew set up the shot where Jack Kerouac was attempting to hitchhike without much success up to San Francisco. The California Highway Patrol had stopped all traffic along the Coastal Highway so the director could get his shot for his upcoming film Big Sur, which is based on Kerouac’s novel of the same name. But it was what Polish said to me at that precise moment that was even more unnerving than the empty road I was witnessing along that great ocean highway. Did I just hear him right? I wondered. I tried not to let my face show my surprise. I’m sure I said something like, “Really?” as my mind instantly started sorting through every movie I’d ever seen and tried to remember which, if any, were 85% voiceover. As it turns out, Michael Polish did, indeed, know what he was doing. Big Sur is an absolutely stunning film. The performances are terrific. The scenery (as you might expect) is unrivaled. All the little details that a true Kerouac fan might hope for are included, from the little spiral notebooks in Jack’s shirt pocket, to interior shots of Vesuvio, Tosca and City Lights. We see ‘Alf the Sacred Burro’ walking the cold and lonely beach at Bixby Canyon, and watching the scene where Jack plays hide and seek at the hospital with his friend Albert Saijo (Trip Trap) was just as much fun as it was the first time I read it in the book. I really think Polish nailed it. As mentioned, I’ll freely admit I was extremely wary when he told me on set that day along Highway 1 that the majority of the film would be voiceover narration. I’m not aware of any other movie I’ve ever enjoyed that relied so heavily on VO but as so many of us know much of Jack’s impact comes from the language he uses. No screenwriter could ever possibly hope to match Jack’s words, so in my opinion Polish made the right choice here. He made that point perfectly in the film as well, when Jack & Michael McClure are in the cabin and Kerouac says to McClure, “You’re a big idea man. I’m a language spinner.” In my opinion, that simple statement in Jack’s own words validates the voice-over decision. The clip from Kerouac’s performance on the Steve Allen show at the very beginning (in black & white, very effective) to introduce us to Kerouac (in shadow), then John Marc Barr suddenly appears on screen. The visual imagery was absolutely stunning—as anyone who has ever been to Big Sur would expect it would be. Such an important part of the story (a man in the most breathtaking place in the world, taken down by his inner demons). When I saw the shot of the fog swirling into Bixby Canyon it took my breath away! I’ve spent a lot of time in Bixby but I’ve never seen that. Josh Lucas was masterful as Neal Cassady. The scene where he’s recapping tires was worth the price of admission all by itself! He captured Neal’s energy so brilliantly. Radha Mitchell plays a terrific Carolyn Cassady and comes off as the perfect, prototypical 1960s wife sitting in her Las Gatos home. Jean Marc Barr was superb; an excellent choice for the role of Kerouac. To see his portrayal of a sad faced Jack amidst the exuberance of all his companions came across as heartbreakingly real for those of us who know the story well. Kate’s Bosworth’s portrayal of Billie was wonderful. When she was first cast I thought she might come off as too gorgeous for the role, but her vulnerability and down to earth demeanor shined through. All in all, and in all sincerity, I’m very impressed by what Michael Polish and his team delivered, and I’m glad to see Jack’s legacy get such a positive boost (and from a story that could have easily drifted into an extremely dark place). This movie does all of us Kerouac fans proud.